The 2nd best documentaries by year! Whoopi Goldberg: We don't speak Whale. 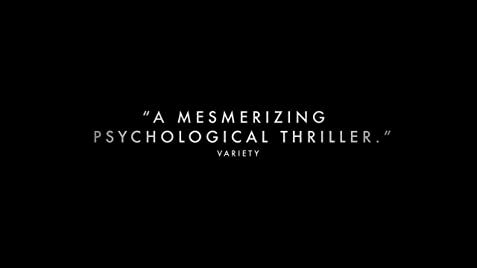 I had heard about this film long before I got to seeing it; there are a couple of very liberal media outlets that I use and this film was very much promoted on them – so I had heard good things but was conscious that it was maybe from an easy audience sector. Anyway, I knew enough about it to be pretty sure that we wouldn't be hearing much from Seaworld in the film itself and indeed at the end it is confirmed that they refused to be interviewed for this film. Many have pointed out that this makes the film rather one-sided, but personally I do not think that having an official Seaworld presence in the film would have made much of a difference to that and to be honest it is probably for the best that they didn't get involved. I say this because, although it is not too unfair or aggressive, the film really is a polemic rather a passive documentary; the case is made in a systematic and effective fashion, building the case and it does it in a way that is really hard to not be affected by. 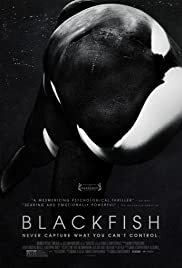 The film is at its best when it is as much of a documentary as it can be – so informing the viewer of the nature of orca whales in the wild, their community and their connections, because this then informs us about the actions taken to separate families from one another – and like the massive butch guy who can barely talk about doing it, it is hard not to be really moved by the idea and the reality. Other such contrasts are well done, such as the statements on lifespan etc, however the film doesn't always do it as well. Relating to the older actions (and the illegal ones in particular), the film is a bit unfair to present these next to a silent Seaworld – I know they are not involved but it would have been nice to hear the film confirm if they had ever admitted wrong doing etc. Just mentioning it and moving on makes it look like it was gotten away with, never addressed looking back etc. The interviews with the ex-trainers are all pretty engaging and emotive but there is a lot of personal statement and issues-driven passion in there; this is fine but it means the film has to do a bit to make sure it remains a documentary – I think it could have done more in that regard. These are flaws in the film as a documentary but even with these it is hard to really take the subject and conclusions to issue. It builds its case well, presenting the base of cruelty and the impact to trainers and animals of the Seaworld shows. It does push too far to one side and it doesn't really give you food for thought so much as conclusions, but it is an impacting film and it is hard for me to really take issue with what it is saying even if I had reservations over how it says it.